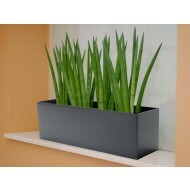 NewPro's PotLuck color-molded planters are a cost effective way to bring plants into any indoor landscape. 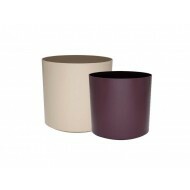 These plastic containers were designed with the interiorscape professional in mind. Made to fit common grow pot sizes, the PotLuck series features a reservoir to catch excess water. 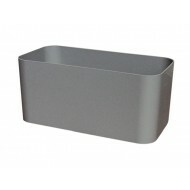 Manufactured with the highest quality resin, PotLuck containers are available in a variety of shapes, sizes, and colors. PotLuck offers an affordable alternative to high-end commercial plant containers and are the perfect low maintenance solution for any indoor landscaping project. 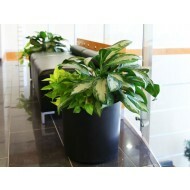 Planters feature a slight taper that allow them to be stacked for easy transportation and storage. Choose from an assortment of styles including round, rectangular, hanging, and wall sconce planters. Manufactured in the United States, black PotLuck pots consist of 80% recycled poly product.